Quantity: 1 2 3 4 5 Need more? Save time and make your administrative tasks easier. 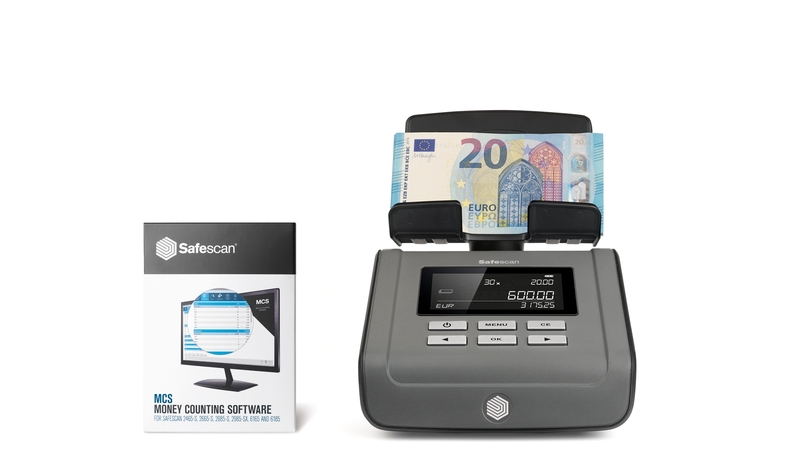 The Safescan 6165 is packed with the latest technology that allows you to count your entire cash register in two minutes. Connect your Safescan 6165 to the included Safescan Money Counting Software and save or export your counting results with just the push of a button. 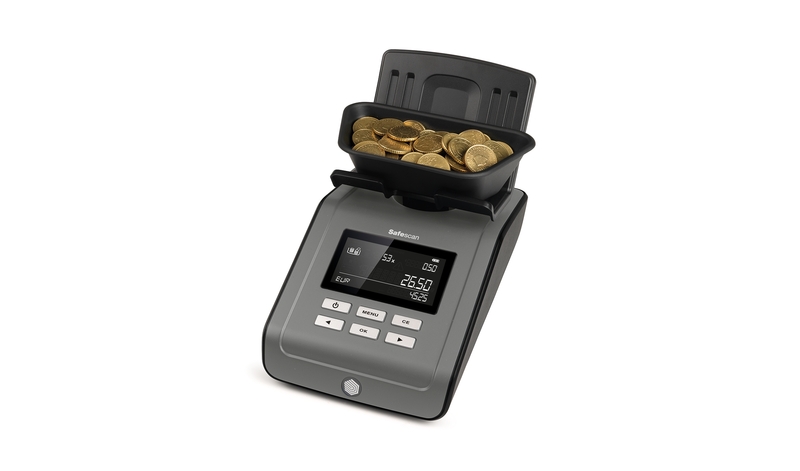 The Safescan 6165 is designed to facilitate easy cash-counting at the end of a long, tiring business day. Total up all your coins and notes in one fast, smooth process; automatically deduct the day's starting cash from the total; save and print your results for easy review. The 6165 guarantees an easy, accurate count in just minutes. 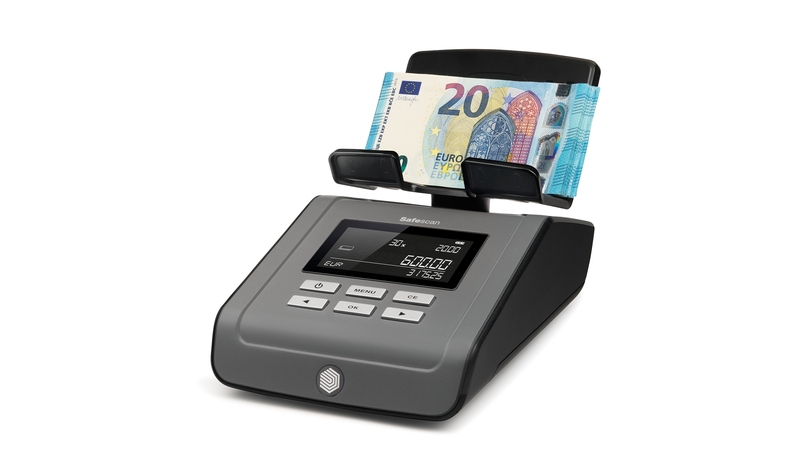 The 6165 uses sophisticated currency-weighing technology to quickly and reliably count coins, banknotes, coin rolls (loose, rolled or bagged) and banknote bundles—faster and more accurately than the most experienced cashier. We designed the 6165 for ultimate convenience. Thanks to the calibrating weight integrated into the heart of the system, the 6165 is always ready to use, even if you’ve moved it from one place to another. Starting with the smallest denomination, place each coin type on the scale in the supplied cup, then each banknote type in small stacks. The 6165 weighs and counts each denomination and adds it to the total value. Voilà! In less than two minutes, your whole till has been counted. The Safescan 6165’s adaptive count algorithm enables the device to intelligently handle weight variations. Two banknotes of the same denomination may have slightly different weights, depending on their relative condition (crisp and new or worn and dirty?) and their versions (different releases usually have different weights). 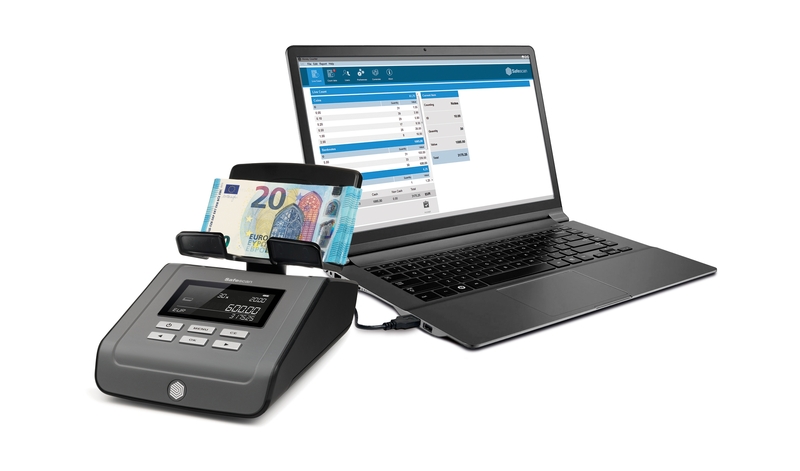 This useful feature enables the Safescan 6165 to perfectly count old and new versions of the 5, 10, 20 and 50 euro bills together, without having to separate them first. The 6165 has an intuitive control panel and a large, crisp display that puts other products to shame. Six clearly labeled buttons provide easy access to the 6165’s many features. The spacious LCD screen tells you exactly what you need to know: the selected currency, the quantity and amount per denomination, and the total result. Central banks regularly issue new or revised banknotes and coins. Safescan’s dedicated currency management team makes sure your 6165 keeps pace with these changes. We notify you whenever there’s an update; all you have to do is install it using the USB port on the back of the device. To make your administrative task even easier, the 6165 can automatically print your complete results to the optional Safescan TP-230 thermal printer, or export them to the optional Safescan Money Counting Software. MCS provides you with comprehensive, automated cash flow management and insight using advanced filters and detailed breakdowns for each employee, register and denomination. The LB-205 rechargeable battery adds freedom of location to the Safescan 6165's many features. With up to 30 hours of mobile use, this lithium polymer battery lets you count up your entire till whenever and wherever it's convenient. Shave even more time off your cash-counting task by pairing the 6165 with a SD-4617S or 4141 series cash drawer and the removable 4617CC / 4141CC coin cups. No need to fumble with getting coins out of your cash drawer, and no need to calibrate first: the 6165 is already programmed to recognize these cups. The Safescan 6165 is standardized to work with 33.5 gram coin cups. 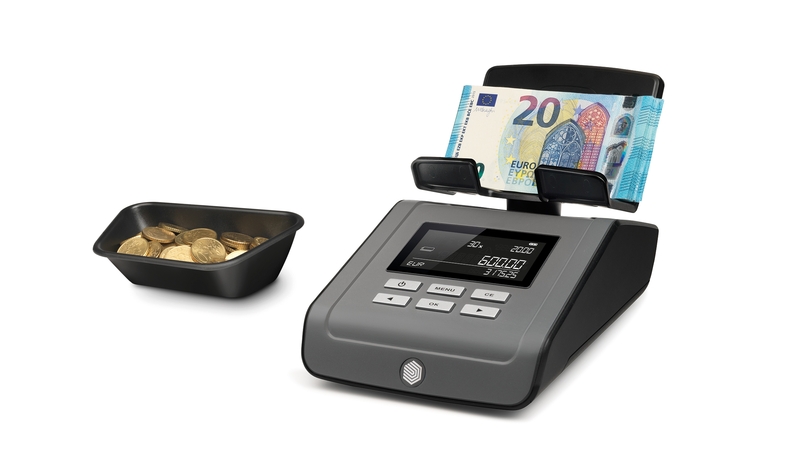 Because some cash drawer manufacturers may use cups with a different weight, the 6165 is able to calibrate for a second coin cup, to ensure maximum compatibility. Our products are manufactured to exacting quality standards and come with a comprehensive three-year warranty against defects. Once you’ve found an item you’d like to buy, click the “Add to cart” button. 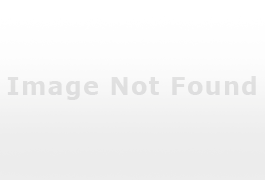 The selected item will be added to your shopping cart. Click the “Shopping cart” link at the top right of every page to visit your cart and adjust amounts or remove items. You can also continue shopping and return to your cart later. When you’re ready to check out, click “Next” in your shopping cart. If you already have a Safescan account, log in with your e-mail address and password. Your billing address and other information will be automatically filled in for you. On the next page, select your desired payment method. (See our payment options page for more information about your choices.) If you plan to pay by credit card, you’ll be asked to enter your card details here. On the final page, you can review your order one last time and read our terms and conditions before you confirm your order. When you’re ready, click “Place your order”. After you’ve placed your order, you will be redirected over a secure Internet connection to our payment service providers, where you will be guided through the final steps to complete your order. After your payment is processed, you will be redirected back to Safescan.com. We will start processing your order and send you an order confirmation e-mail. We ship all our products from a central warehouse. To help you plan your order, we use a set of simple status symbols to indicate an item’s real-time stock level. Green – The item is in stock and ready to ship! Orders placed before 16:00 CET are shipped the same day. Orange – The item is currently sold out, but we expect to have it in stock very soon. You can pre-order the item, and as soon as it arrives at our warehouse, we’ll ship it to you. Red – The item is currently sold out and we don’t expect to have it in stock again soon. You can log in to your Safescan account at any time by clicking the “My account” link at the top of every page. All your account information is automatically encrypted and sent over a secure connection. To update your account information, log in to your Safescan account at any time. For your security, your account will be blocked for 30 minutes if the wrong password is entered three times in a row. To access your account, wait 30 minutes and try again, or use the “Forgot your password?” option to reset your password. If you’ve forgotten your password, click here or on the link on the login screen. Enter your e-mail address and we’ll send you a link you can use to reset your password. Once you submit your order, we set aside the in-stock items you’ve bought. If any items are out of stock, we’ll hold your order until they arrive, then ship all your items together. That way, we make sure you get your products as quickly as possible. Cancel the out-of-stock item and ship the remaining items right away. Ship the in-stock items now and send the outstanding item as soon as it arrives. If you’d like to a cancel an order that hasn’t shipped yet, please contact us. If you’d like to cancel an order that has already shipped, please refuse delivery at your door. UPS will then return the order to us, at which point we can cancel it and issue you a refund. 1. Enter the requested information in your profile, including your country of residence and EU VAT number, and click “Check your VAT number here”. 2. Your details will be checked using the VIES VAT validation service. Once your VAT number is verified, you will be able to buy products without paying VAT. Deliveries to countries outside the EU always incur a 0% VAT rate. In addition to the copy of your invoice we send you by e-mail, we will add a copy to your shipment for customs use. We offer the following payment methods for your convenience and, unlike many other shops, never charge any transaction fees. We use a secure SSL connection during the checkout process, so your credit-card details are fully protected. After you enter your information, we will communicate with your credit-card issuer to process your payment smoothly and securely. PayPal is the preferred way to pay online in many countries because it’s safe and fast. PayPal securely stores your credit card and banking information, enabling you to pay online without entering your sensitive financial information every time you shop. Using Paypal you can speed through the checkout process in just a few clicks. PayPal deducts payment directly from your credit card or bank account, and your payment information is never shared on the Internet. Maestro lets you pay quickly and securely online. Enter your debit card number and expiration date and you will be automatically taken to the bank’s secure website, where you will be asked to verify the amount and pay using your usual authentication medium. 1. Your bank must support the service. If you aren’t sure, ask your bank. 2. You must have an authentication medium. Maestro payments over the Internet are protected by an authentication medium. Depending on the bank, this may be a card reader, a password, or something else. Contact your bank if you don’t yet have an authentication medium. 3. You must have received a SecureCode. To make payments over the Internet using your Maestro card, you must have a SecureCode. If you don’t have one, contact your bank. If you choose to pay by cash on delivery, you will pay when the order is delivered to your address. A modest surcharge will be added to your order to cover the carrier’s additional fee. If you select this payment option, we will ship your order once your payment has been received in our bank account. The e-mail order confirmation we send you will contain your order number; please refer to this number when you make payment, so we can link your payment to the correct order. Your privacy and protection are deeply important to us, and we go to great lengths to ensure the security of your information on our site. To protect your information during the ordering process, we use Secure Sockets Layer (SSL). SSL is the industry standard protocol for establishing a secure connection between computers on the Internet. The protocol encrypts all traffic and guarantees message integrity and sender and receiver authenticity. The website’s URL begins with “https://” rather than “http://”. You see a visual cue in your browser’s address bar, such as a lock icon or a green button (varies by browser). These cues signify that your payment and personal data are protected. You can click on the lock icon or green button in your browser’s address bar to view the details of the SSL certificate, including its validity. We never use vendor-supplied defaults for passwords or other security parameters. We always encrypt cardholder data and sensitive information before it is transmitted. We maintain anti-virus software and firewalls to protect customer data. We restrict access to cardholder data to those who have a business need to know. We assign a unique ID to each person with computer access. We tightly control physical access to our systems infrastructure. We track and monitor all access to network resources and cardholder data. We routinely audit and improve our security systems, applications and processes. We work hard to keep our shipping rates as low as possible, without surcharges for delivery to remote areas. To ensure the fast, accurate delivery of your order, we use the reliable services of UPS. Please see the table of shipping rates ‣ for detailed information. After you place the desired items in your shopping cart, select your preferred delivery method. The cart will calculate and display your shipping costs so you can review them before you complete your order. These costs are also displayed in the confirmation e-mail we send you after you place an order, and in your online order status. If you select the Cash on Delivery payment method, we will add a modest surcharge to your order to cover the carrier’s additional fees. This surcharge, which is visible in your shopping cart once you select your payment method, is calculated and displayed separately and is not part of your shipping costs. If we receive payment for your order before 16:00 CET, we will process your order that same day. Provided all items are in stock, you will receive it in 1–3 business days. Orders placed on weekends and public holidays will be processed the next business day. As soon as our warehouse has shipped your order, we will send you a confirmation e-mail including a unique UPS parcel tracking number. To trace your package’s status in real time, visit www.ups.com and enter your tracking number on the left side of the page. UPS delivers between 8:00 and 18:00 Monday through Friday, excluding public holidays. The average delivery time is 1–3 business days, depending on the country to which the order is shipped. Please see our table of delivery times ‣ for detailed information. Our customer service team will contact you as quickly as possible to sort out your order. You must have created a Safescan account. The item must be unused. There must be no visible damage or signs of use. The product and all accessories, manuals and packaging must be returned in their original state. The guarantee does not apply to software packages. We may reduce or decline your refund if the item has been used or damaged or is incomplete. In practical terms, this means you may inspect an item to determine its suitability, but you may not use it; any action that renders the item “used” voids your right to the 14-day money-back guarantee. Once we receive your return, we will refund your purchase amount within 30 days (subject to the limitations above). If you paid with a credit card, the refund will be credited to your card. If you choose to have UPS pick up your return shipment, please note that the cost will be deducted from your total refund. We offer a 7-day DOA (Defective on Arrival) policy. If a product you’ve purchased becomes defective within 7 days of receipt, we will send you a new one, completely free of charge. Simply notify us within the 7-day period, and after approval, submit a return request through your Safescan account at Safescan.com. We will pick up the defective product and deliver a new one at no cost to you. Please note that the defective goods must be returned in their original packaging. Items returned without their original packaging cannot be accepted for DOA; they will be sent for repair under warranty instead. After the 7-day period, the standard warranty terms apply. 1. Go to www.safescan.com and log in to your Safescan account (or create one, if you don’t already have one). 2. If you purchased your item at Safescan.com, go to your order history and click on the “return request” option. Complete the form to submit your request. 4. We will contact you by e-mail as quickly as we can with further instructions on how to return your product. These instructions will include your return label and unique RMA return number. Please wait for these instructions before returning your product to us; without both the return label and RMA number, we cannot accept your return. If you are returning an item under our Defective on Arrival policy, we will arrange to pick it up and pay the costs. If you’re returning an item for any other reason, such as under the 14-day money-back guarantee or for repair, please note that you are responsible for paying the costs of return shipment. To ease the returns process, we offer a pickup service at greatly reduced rates. If you would like to use this service, please select it when you submit your return request through your Safescan account at Safescan.com. You will receive clear instructions on payment (if applicable) and pickup. All our products are manufactured to stringent quality and safety standards. We offer a 3-year warranty for many of our products* after registration of your product. *Warranty is available for all Safescan products except the Safescan 20, 30, 35, RF-100, RF-110, Safescan and TimeMoto software and consumables such as UV lamps, batteries, coin tubes, USB cables, coin cups, lids, brackets and trays. To receive the 3-year extended warranty, log into your existing Safescan account (or create a new one) at www.safescan.com, then click on the “Register” link in your profile (or surf to www.safescan.com/register) within 30 days of purchase. Enter the purchase date, invoice number, model number, and serial number for your product. The extended warranty begins on the date of purchase. 2. If you purchased your item using your Safescan account, go to your order history and click on the “return request” option. Complete the form to submit your request. To ease the returns process, we offer a pickup service at greatly reduced rates. If you would like to use this service, please select it when you fill out the return form. You will receive clear instructions on payment and pickup. Our products meet all applicable European safety guidelines. Please contact our customer service department to request a copy of the CE Declaration of Conformity (DoC) for any product. CE stands for Conformité Européenne, and this mark indicates compliance with EU product legislation. We ensured that all new products carry the appropriate WEEE marking. We developed internal systems to ensure that all data requirements can be met. We became a member of the Environment Agency’s Producer Compliance Scheme to meet our obligations for UK business-to-consumer (B2C) transactions. We formed relationships with appropriate partners in recycling, logistics and refurbishment to ensure that we can provide a take-back service, should any of our UK customers require it. Thanks to the groundwork laid here, we also meet all our obligations for business-to-business (B2B) transactions, and our framework can be tailored to meet individual customers’ needs as part of our commitment to a healthy environment. Items marked with a * are required. We are happy to help you remotely. Please download the free TeamViewer remote support software. Install it and give permission for our support staff to access your computer, and we will gladly assist you in solving your problem.